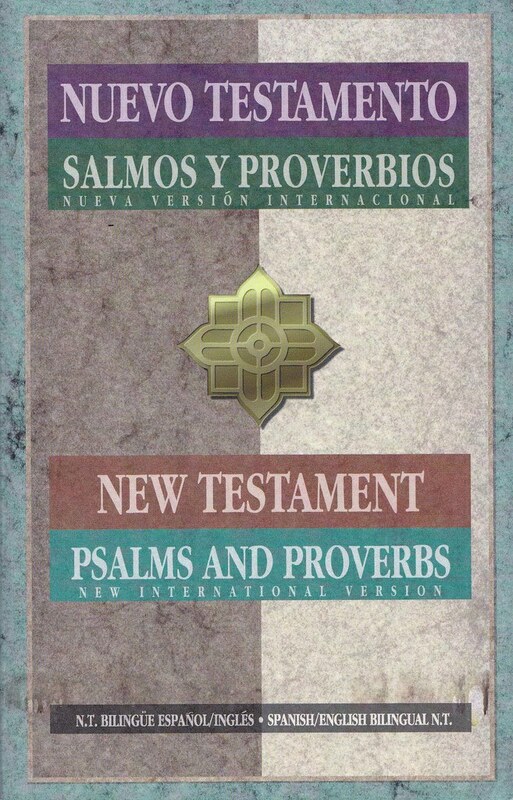 Title: Nuevo Testamento Salmos y Proverbios Nueva Versión Internacional New Testament Psalms and Proverbs New International Version N.T. 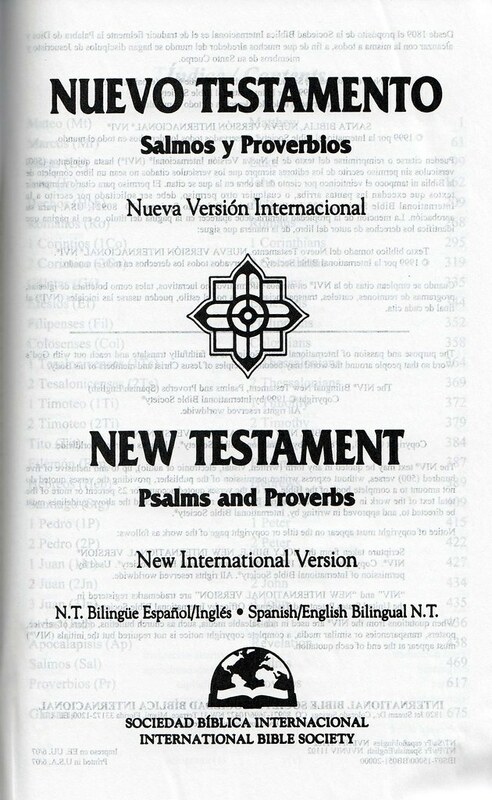 • Bilingüe Español/Inglés Spanish/English Bilingual N.T. 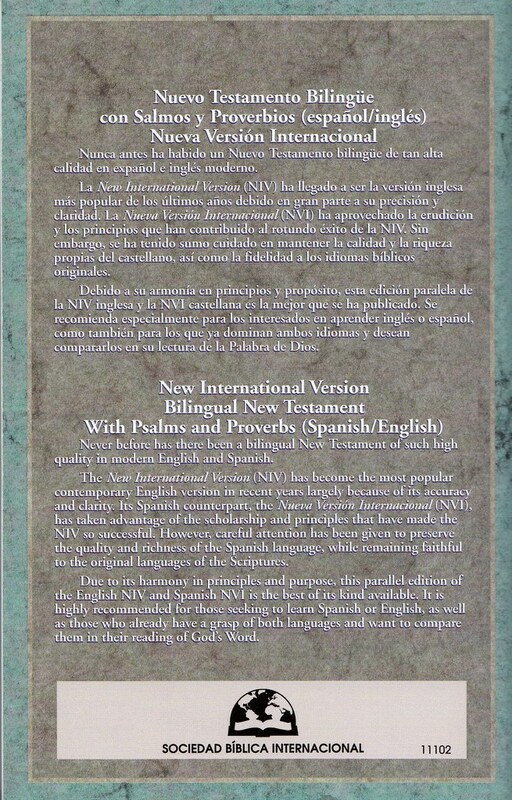 Comments: The Spanish Nueva Versión Internacional text is on the left-hand side of the page and the English 1984 New International Version text is on the right hand side. A Spanish glossary of Bible terms is also included.